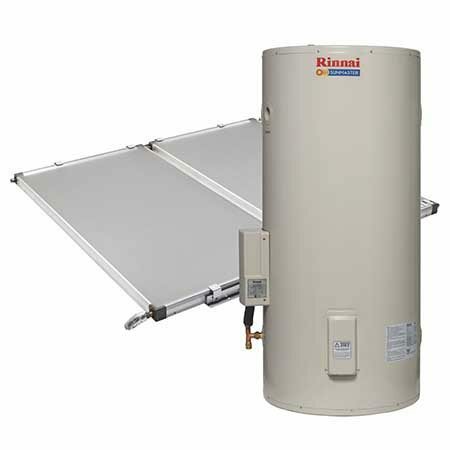 The latest generation of Rinnai solar hot water design is called a split system. 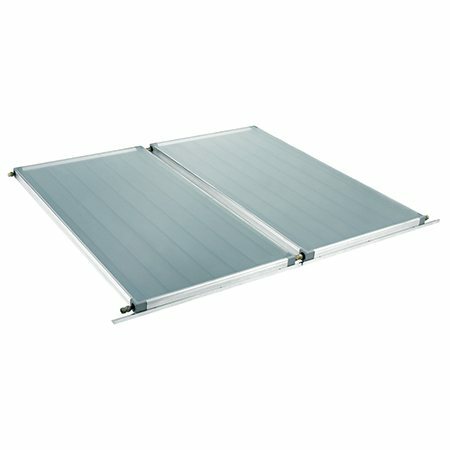 This system splits the panels from your tank, therefore only the panels are roof mounted, leaving the tank down at ground level. This system utilises a circulation pump to transfer the hot water in the panels to the tank and replace the water in the panels with cooler water. 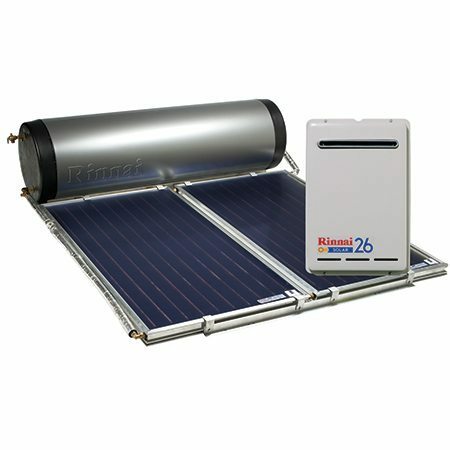 This pump is regulated by a controller that measures the temperature at various points in the Rinnai solar water heater system and is designed to optimise the solar contribution and, therefore, efficiency of the system. Split system are available in the Rinnai Sunmaster and Rinnai Prestige ranges. 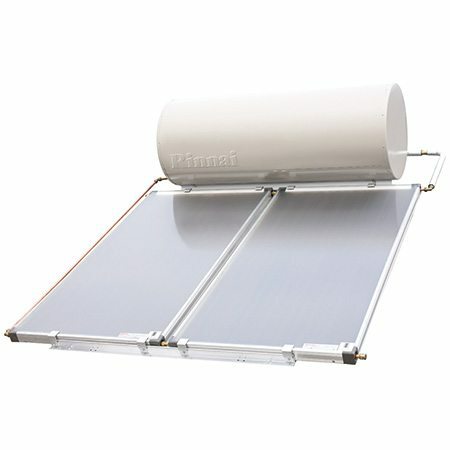 This is the original type of solar hot water system, which couples the tank and panels in one package up on your roof. 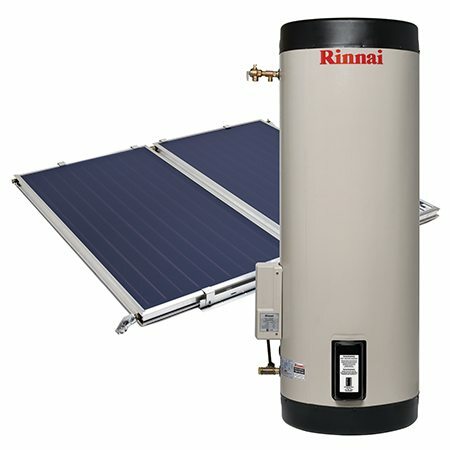 Close-coupled Rinnai solar hot water systems use the natural thermosiphon principle (hot water rises, cold water falls) to move hot water in the panels upwards into the tank. The water in the panels is replaced by cooler water and the process is repeated. Close-coupled options are available in the Rinnai Sunmaster and Rinnai Prestige ranges. 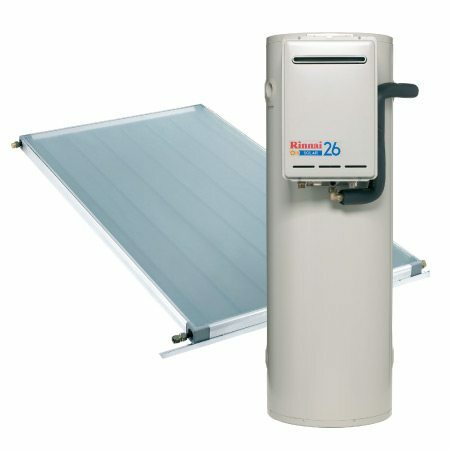 Rinnai Sunmaster solar hot water systems are designed for the price conscious buyer. 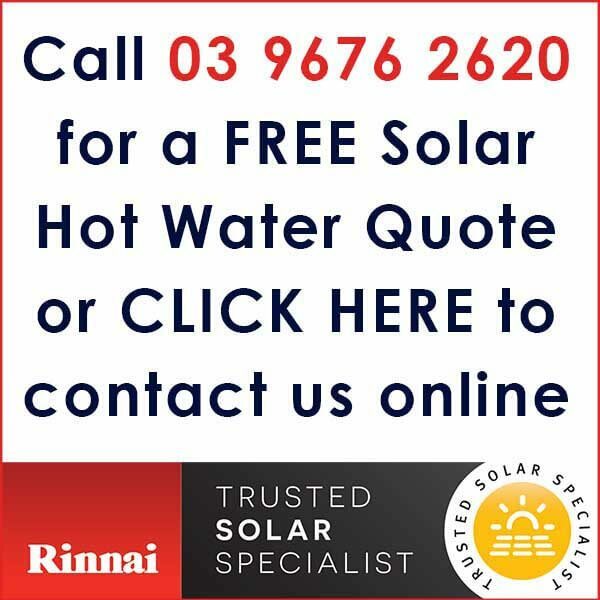 This system would particularly suit new home owners requiring the installation of a Rinnai Sunmaster solar hot water system to comply with 5 Star home energy ratings, but at an affordable price. The tanks are a space saving slim-line design which is perfect for today’s smaller blocks. 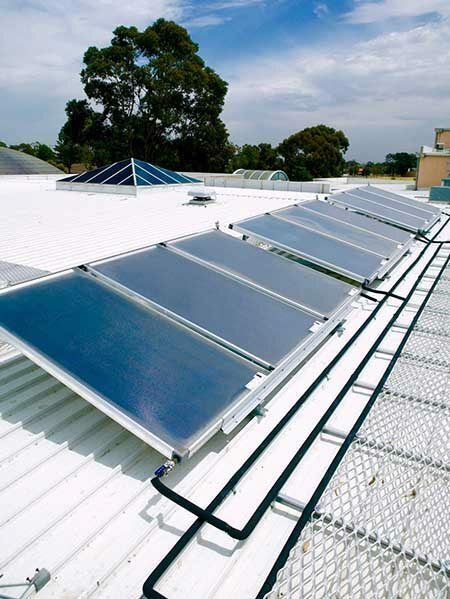 The panels are an all copper and aluminium construction with the latest generation flat plate technology, which offers the very highest efficiencies and are also made right here in Australia. 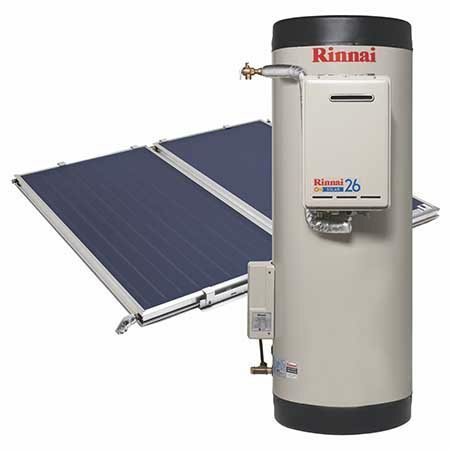 Rinnai Prestige solar hot water systems are the premium models in the Rinnai Solar range. 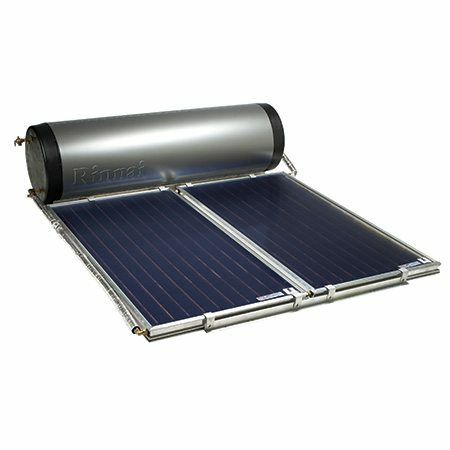 The tanks for Rinnai Prestige solar hot water systems are made in Australia from high quality, long lasting 444L grade stainless steel. The panels are an all copper construction with the latest generation titanium oxide (Tinox) selective surface coating, which offers the very highest efficiencies and are also made right here in Australia. 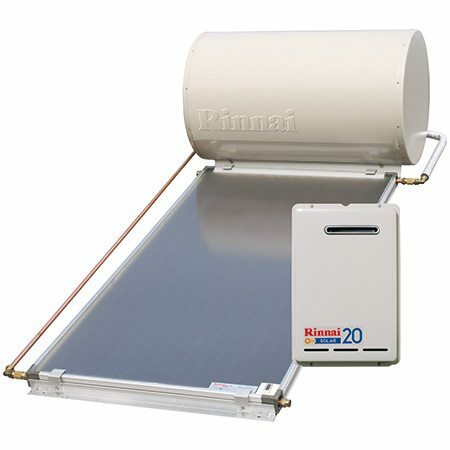 You have the choice of either a Rinnai Evacuated Tube style collector or a flat plate collector. 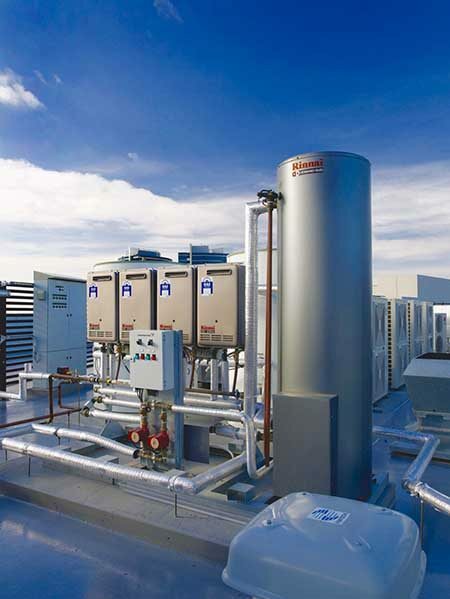 Rinnai has a system to suit every commercial application, from the very largest residential home through to the biggest high rise multi-unit developments. The key options are Demand Duo, Manifold Packs and Heavy Duty continuous flow units. Demand Duo systems are suitable when high peak flow rates for short periods are required or when there is a constantly running hot water reticulation ring main system is specified. Manifold Packs are suitable for applications where shower blocks are utilised (eg sporting clubs, caravan parks) where a constant outlet temperature is required and where peak flow rate will not be exceeded. Heavy Duty continuous flow units are best suited where higher than average temperatures are required or where constant operation is needed (eg: cafes hairdressing salons, laundromats and domestic hydronic heating systems). 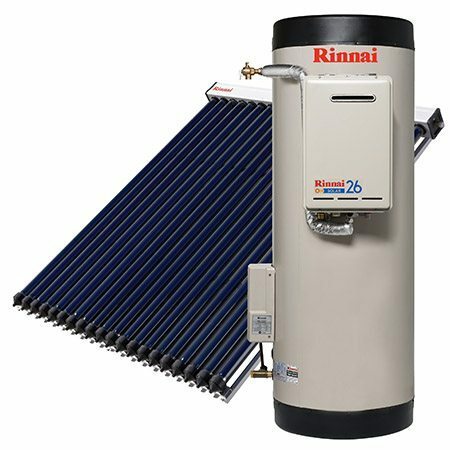 Solar pre-heat systems can be incorporated into all of Rinnai’s commercial systems.Generous government rebates are available.